Seattle, WA – September 9th, 2004 – Atlantic Records and DrivingVotes.org today announced that recording artist Tracy Chapman will embark on a 5-date concert tour to benefit DrivingVotes.org, a grassroots organization committed to reclaiming American democracy by ensuring that Democrats in swing states vote. The tour will kick off September 24th in Portland, OR (See below for full list of dates and venues). The tour, called “Western Swing: An Evening with Tracy Chapman,” will feature Tracy and her band in a very intimate setting. These incredibly special shows will help build on the momentum generated by the Driving Votes Caravan, a cross-country trip that registered thousands of voters, as DrivingVotes.org now transitions its focus to getting out the vote. 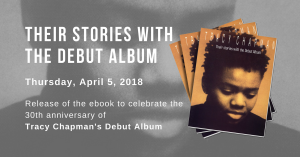 Tracy Chapman, an artist whose concern for social and political issues is reflected in her work, has frequently lent her voice, her time and her passion to support political empowerment. About Driving Votes: Driving Votes is a grassroots organization committed to reclaiming American democracy by ensuring that Democrats in swing states vote. The Driving Votes website at www.drivingvotes.org makes it simple for anyone to plan a grassroots voter registration drive. The Driving Votes website has voter registration packets for each swing state, information on which local groups to partner with, and how to find areas with a high percentage of Democrats. For more information about Driving Votes, please contact Jennifer Kane, assistant director of Driving Votes, at 415.505.5661 or jenny@drivingvotes.org. 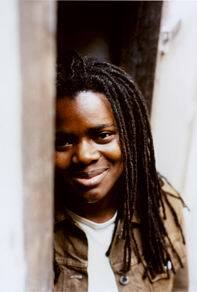 Singer/songwriter Tracy Chapman has for years encouraged her fans to vote. But in the wake of Florida’s bitterly contested vote tally that eventually led to President Bush’s victory in the 2000 presidential race, Chapman is stepping up her efforts to get out the vote. I didn’t have the ticket and I thought they were all sold out… But i heard about waiting at the door to buy one so I did. Tracy Chapman performed a small venue for Drivingvotes.org. She performed at the Century Ballroom in Seattle on Capitol Hill. The Show was FIRE. Tracy performed with drummer, and bass player in an truly wonderful venue, the Kimo Theatre in downtown Albuqueruqe.Tracy came onto the stage and jumped right into a rockin’ Hound Dog (similar version to the Santa Fe 2003), swaying and singing. Afterwards breaking into a softly sung For my lover. She then spoke of her mission, Driving for Votes garnering cheers and claps (apparently no Republicans in the house–suprise, surpise). She broke into a soulful Telling Stories, then into a spirited Say Hallelujah–the bassist jamming out. Of my three (which went from one to three as I reconsidered the concert) favorites of the concert, All that you have is soul, brought tears to my eyes for Tracy’s intensity and how she had combined into words and notes such feeling. The surprise of the concert was a cover of Nirvana’s Come as You Are that was (imho) as good as the original (special note–except for Tracy’s, I usually dislike covers). Tracy continued with Fast Car which received a strong applause. And then again she spoke of her mission, discussing the importance of being a part of the vote. Then she performed an extraordinary version of House of the Rising Sun which sent me back to New Orleans in a flash. I could almost imagine her playing at some juke joint filled with smoke and whiskey. She mentioned again her purpose–she had warned us at the begining that she would mention at every opportunity–register to vote–especially if you are democrats! It’s incredible the emotion she generated with The Promise even so quietly sung. Tracy then started to introduce a song she had written in 2000 although not released; she wanted to clarify because it was so apt at this point in time in the United States and the world. At one point, during her discussion some male shouted “Sing” which seemed to shock everyone into silence, however Tracy kept talking and begun Conquering America, which was one of my three favorites and again drove me to tears as I mourned for the people who have been slaughtered for the gains of a few and are now as we speak still being killed while “Conquering America.” I realized the ultimate purpose of music and the genius of Tracy–her identification and exposure of those whose voices are silenced. After finishing, she said as she pulled out another flyer announcing the Driving for Votes,”I’m doing this to annoy the guy who told me to sing.” This received an amazing amount of applause from the audience, who finally getting over the shock, realized what had happend. Another Sun started with a dreamy like intro and elvoled into a soulful, almost trip-hop vibe–yet darker. Tracy loading up on the revolutionary spirit continued with Talkin’ about a Revolution. She jaunted off afterwards and the dutiful fans in front pounded on the stage, clapping, and cheering when she returned. Give me one Reason bringing as always wild cheers flowed into the best version of Howlin’ for My Darlin that I have heard…wild applause followed as the theatre lights came on. It was truly a wonderful show.